From Mark Ruffalo to Scarlett Johansson, the Marvel universe is jam packed with excellent actors; each with their own unique take on what makes a hero. It is of course tricky to objectively say who is best, as we all have our favourite superheroes and, indeed, villains. However, a bold new list has placed Robert Downey Jr – aka Mr Tony Stark – at the tippity top of the ever-growing pile of fluttering capes; soaring just above James McAvoy and Tommy Lee Jones. This is certainly a deserved choice but will no doubt rankle those with a soft spot for the likes of Tom Hiddleston (7th place) and Chris Evans (16th place). The list was compiled by Ranker from votes cast by fans. The choices extend way beyond the post-2008 Marvel Cinematic Universe years, and comic book nerds can vote for a wide range of heroes stretching back decades. This includes Tobey Maguire – whose soggy upside down snog with Kirsten Dunst shaped many a teenage girl’s romantic expectations – and legends such as Ian McKellen and Patrick Stewart. 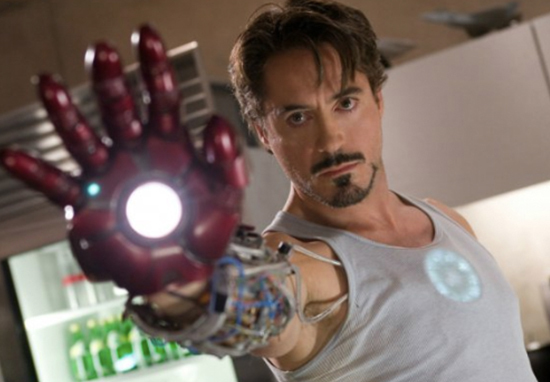 It’s easy to see why Downey Jr has emerged triumphant. His portrayal of suave yet complicated Tony Stark is charismatic, endlessly witty and often surprisingly touching. The arrogance and privilege could have jarred if handled by a lesser actor, but Downey Jr has a deft touch and has made us love Tony, bravado and all. It’s the fact that, at a certain point, he stops living under this veil of self-importance and disregard for moral psychology, and he decides to do something. And that’s what I usually hate about these movies – when suddenly the guy that you were digging turns into Dudley Do-Right, and then you’re supposed to buy into all his ‘Let’s go do some good!,’ that Eliot-Ness-in-a-cape-type thing. What was really important to me was to not have him change so much that he’s unrecognizable. When someone used to be a schmuck and they’re not anymore, hopefully they still have a sense of humor. Much like Tony, Downey Jr is stylish, charming and enjoys extravagant parties and luxury cars. On a deeper level, both men have battled with addictions; Tony with alcohol and Downey Jr with drugs. Tony’s relationship with Pepper Potts is a strong, committed match of equals. We can see shades of this in the way Downey Jr speaks about his own significant other Susan, who gave him a much needed ultimatum about his drug use before agreeing to marry him. There truly is nobody on this planet that can play a better Tony Stark than Robert Downey Jr.
Come to think of it, whoever casted the majority of the current Marvel Cinematic Universe deserves a lifetime achievement award. #TonyStark / #IronMan probably always will be my fav character from the #MCU ,he owns my heart.??? @RobertDowneyJr performance is a joy to watch.?? I am yet to watch Infinity War, but speaking of Marvel superheroes, nothing compares to Tony Stark, Iron Man; wherein his portrayal by Robert Downey Jr. has been terrific. Do you think the best superhero won? Or would another Marvel-ous contender get your vote?